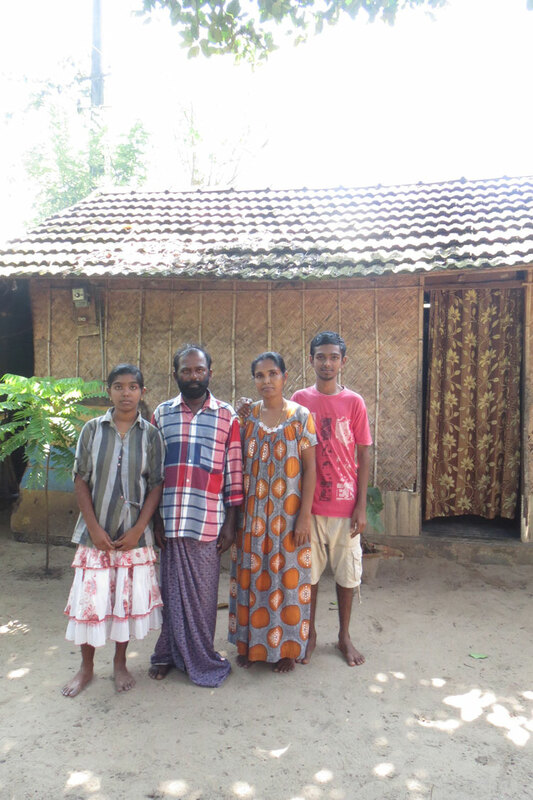 Until the great tsunami of 2004, Joy Vargese managed to provide for his family. Unfortunately, he was severely injured when the wave hit. When illness struck his wife, the family became desperate. Your sponsorship would give Joy and Mary some financial stability in their old age and allow them to help their children in higher education. If you wish to sponsor this family, please fill in the amount you will contribute each month below and click on ‘Add to Cart’ to make your first payment through PayPal. Thank you! Joy is a fisherman who has worked for many years to provide for his small family. Fishing in Kerala is a hard life of difficult labor and meager income, so Joy’s wife, Mary Delphi, also worked as a housekeeper to support the family. Joy and Mary had two children, a son Christin and a daughter Texy. Tragedy struck when Joy was fishing during the great tsunami that struck the area. Many fishermen were killed by the enormous wave; Joy was severely injured when he was thrown from his boat. It was a narrow escape from death and he suffered a severe back injury that made it intolerable for him to return to work. For a time the family survived on the earnings of Mary Delphi. Then she too was stricken with a debilitating illness in the form of a contagious fever. She has never recovered from the complications of this fever, making it impossible for her to work. Joy has tried to return to fishing but the work puts him in great pain. Their children have both completed high school and are in the process of completing work training courses, but the couple worries about how they can continue to support their education with little income left between them. Even worse they worry about their futures and that they will become a burden to their children. They are in need of aid to receive the medical care and financial security that will allow them to have a stable home.